Find the most striking solitaire diamonds that have the eye-catching beauty to stand alone. 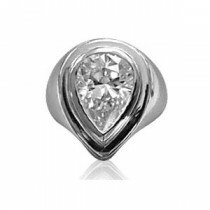 The diamond solitaire you choose can be superbly showcased in one of our custom-made mountings. Discover your loose solitaire in our diamond selection that includes every cut and shape, including round brilliant, asscher, pear, and princess and others. 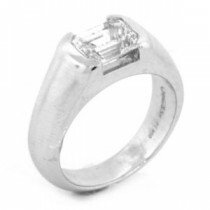 On our site, it’s easy to search for fine quality solitaire diamonds that take center stage in a custom-designed engagement ring, wedding ring or pendant. A. Fishman & Son examines each diamond to ensure it is one that discriminating buyers want. 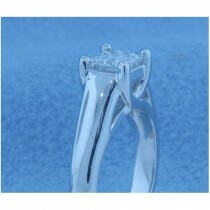 We understand your diamond for a solitaire engagement ring is an emotional and financial investment. 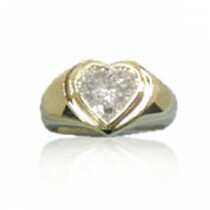 So we strive to give you the unparalleled service you deserve as you purchase diamonds and jewelry. 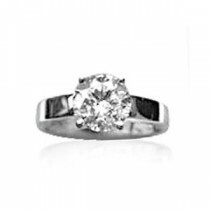 Classic solitaire diamond rings in our elegant prong settings offer beautiful simplicity. Our top-selling rings with solitaire diamonds are fiancé favorites. 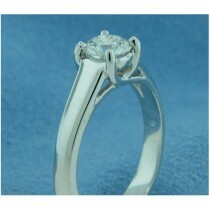 We have amazing designs that can be customized to create your ideal solitaire diamond ring that a bride will treasure. 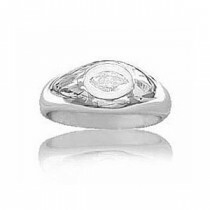 And our highly competitive prices mean you can have a fine quality ring to last a lifetime. These rings to adore look incredible when paired with fashionable diamond stud earrings or diamond pendants. 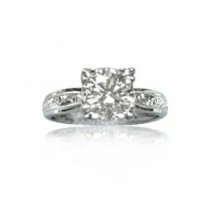 Design your own solitaire diamond engagement ring that will be cherished forever. 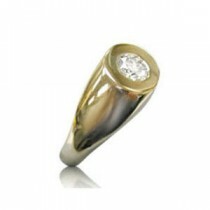 Take a look at the samples of our handcrafted solitaire rings that are highly popular choices. Let us know your favorite settings, and we’ll personally guide you to the right diamond for your taste and budget. 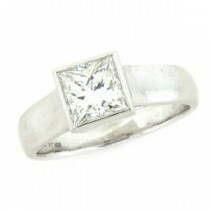 Or start by finding a wonderful solitaire diamond and then contact us for guidance on the setting. 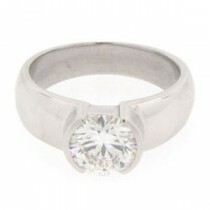 We’re specialists in designing solitaire diamond engagement rings for discriminating brides to be.